Harley Goldstein represents secured creditors, unsecured creditors, debtors, committees, bondholders, trustees, equity security holders, and other parties in all transactional and litigation aspects of bankruptcy cases. Mr. Goldstein also represents lenders and borrowers in out-of-court operational and financial restructuring matters and has represented various clients with respect to debtor-in-possession financing and cash collateral agreements, sales of assets in bankruptcy, reorganization plan structuring and confirmations, multinational insolvency proceedings, motions for relief from the automatic stay, dischargeability litigation, fraudulent conveyance and preference litigation, and other issues. 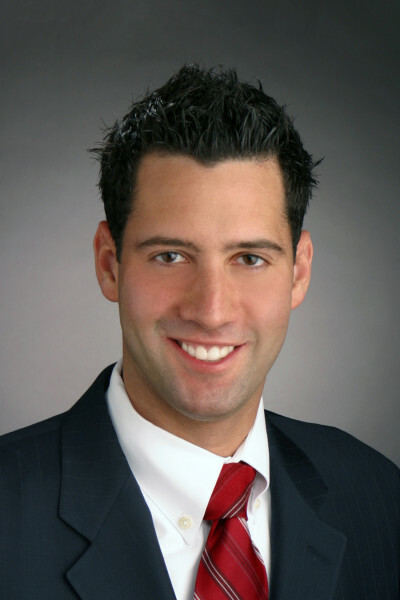 Mr. Goldstein, who has been noted for his skill as counsel in some of the nation’s highest profile corporate insolvency proceedings, was profiled as one of 40 Illinois Attorneys Under 40 to Watch by the Law Bulletin Publishing Company (publisher of Chicago Daily Law Bulletin and Chicago Lawyer), in which he was praised for his creative application of the Bankruptcy Code to accomplish his clients’ goals. At the time he received this award, he was thirty-two years old – the youngest age of any recipient of that accolade for the year in which he received the honor. In addition, he was named as a Rising Star in the Illinois Super Lawyers magazine (from the publishers of Law & Politics and Chicago magazine) every single year of his eligibility since the award's inception. He was also bestowed with a Transaction of the Year award in 2009 by the Turnaround Management Association’s Chicago/Midwest chapter, a Corporate Turnaround of the Year award in 2015 by Turnaround Atlas Awards, and a Corporate Turnaround of the Year award in 2015 by the Turnaround Management Association’s Chicago/Midwest chapter. Most recently, Mr. Goldstein was named: (1) Lawyer of the Year (Corporate Restructuring – United States) by the ACQ Law Awards for the last five years in a row (2014, 2015, 2016, 2017, and 2018); (2) Lawyer of the Year (Bankruptcy – United States) by the ACQ Law Awards for the last three years in a row (2016, 2017, and 2018); (3) Lawyer of the Year (Corporate Restructuring – United States) and Lawyer of the Year (Bankruptcy – United States) by the ACQ Global Awards for the last three years in a row (2016, 2017, and 2018); (4) Lawyer of the Year (Corporate Restructuring – U.S.) by Professional Sector Network’s 2018 Annual International Awards; (5) Lawyer of the Year (Corporate Restructuring – U.S.) by Corporate USA Today’s 2018 Annual Awards; (6) Lawyer of the Year (Restructuring Law – Illinois) by Corporate Intl Magazine’s 2018 Global Awards; (7) Lawyer of the Year (Bankruptcy & Restructuring – U.S.) by Corporate Insider’s 2017 Legal Awards; (8) Legal Advisor of the Year (Bankruptcy & Restructuring – Illinois) by M&A Insider’s 2017 Awards; (9) Lawyer of the Year (Bankruptcy Transactions & Litigation – U.S.) by Corporate Livewire’s 2016 Global Awards; (10) Lawyer of the Year (Corporate Insolvency – U.S.) by Wealth & Finance International Magazine’s 2015 Finance Awards; (11) 2014’s Lawyer of The Year (Corporate Restructuring – Illinois) by Corporate LiveWire; and (12) ranked by the 2018 Chambers USA guide (after having also been recognized in the 2016 & 2017 Chambers USA guides), citing a client’s report that Mr. Goldstein "possesses the rare combination of a thorough command of the law and a high level of business acumen." Prior to forming Goldstein & McClintock LLLP in order to build the most exclusive restructuring law boutique in the nation and to facilitate a broader practice free of the constraints of large-firm conflicts, Mr. Goldstein was an Equity (Senior) Partner at K&L Gates, LLP, one of the largest international law firms comprised of approximately 2,000 attorneys around the globe, where he led the Chicago office's bankruptcy and restructuring group. Prior to its merger with K&L Gates, Mr. Goldstein served as national chair of the Bankruptcy and Restructuring Department of Bell, Boyd & Lloyd LLP, a coast-to-coast law firm and one of Chicago's oldest legal institutions. Prior to practicing, Mr. Goldstein served as law clerk to the Honorable Erwin I. Katz, U.S. Bankruptcy Judge for the Northern District of Illinois. Mr. Goldstein lectures regularly for nationally prominent organizations, such as the National Business Institute, Lorman Education Services, the American Law Institute/American Bar Association (ALI/ABA), the American Institute of Certified Public Accountants (AICPA), the Illinois Certified Public Accountant Society (ILCPAS), the Commercial Finance Association (CFA), and the Young Presidents’ Organization/World Presidents’ Organization (YPO-WPO), where he has presented a variety of educational programs on bankruptcy law and procedure, creditors' rights, distressed acquisitions, distressed real estate, fraud and fraudulent transfer litigation, Ponzi schemes, debt collection, bankruptcy law amendments, and Internet issues. For many years, Mr. Goldstein also taught an introductory seminar to incoming law students at various local law schools as part of a program sponsored by the Chicago Lawyers’ Committee for Civil Rights Under Law, Inc., a nonprofit legal advocacy and services organization working on issues that affect poor and minority communities. Mr. Goldstein frequently writes about bankruptcy law topics and is often quoted regarding large bankruptcy proceedings. Most recently, he authored a chapter entitled “The Business of Bankruptcy: Realizing Restructuring Objectives Through Strategic Ingenuity” in the book Bankruptcy and Restructuring Strategies, published by Aspatore Books as part of its “Inside the Minds” series. In addition, among the articles he has authored himself or in collaboration are: “Tips and Traps For Landlords under New Bankruptcy Amendment,” published in The Newsletter of Corporate Renewal; “Can Ipso Facto Clauses Resolve the Discharge Debate? An Economic Approach to Novated Fraud Debt in Bankruptcy,” published in the DePaul Business and Commercial Law Journal; “Spending Other People’s Money: Creditors’ Remedies for the Misuse of Cash Collateral in Bankruptcy,” published in the University of Miami Business Law Review; and a series of articles regarding cutting edge Internet law issues. In addition to being active in various industry and charitable organizations, Mr. Goldstein previously served as President of the Midwest Chapter of the Commercial Finance Association. Moreover, Mr. Goldstein served the organization as a Director for three years, as an Officer for approximately six years, and as General Counsel for over three years; he was the first and only practicing attorney to sit on its Board of Directors; and he was honored with an award in 2019 for his outstanding contributions to the organization. Mr. Goldstein is also a member of the Chicagoland chapter of the Young Presidents' Organization (YPO), the premier leadership organization of more than 26,000 chief executives in over 130 countries, whose member-run companies employ 21 million people and generate $9 trillion in annual revenues. YPO members harness the knowledge, influence, and trust of the world’s most influential and innovative business leaders to inspire business, personal, family, and community impact.